Digital Visitor has been selected as the digital agency for The British Airways i360. Just a short trip from London, Brighton is a popular coastal destination that provides a wide range of activities. 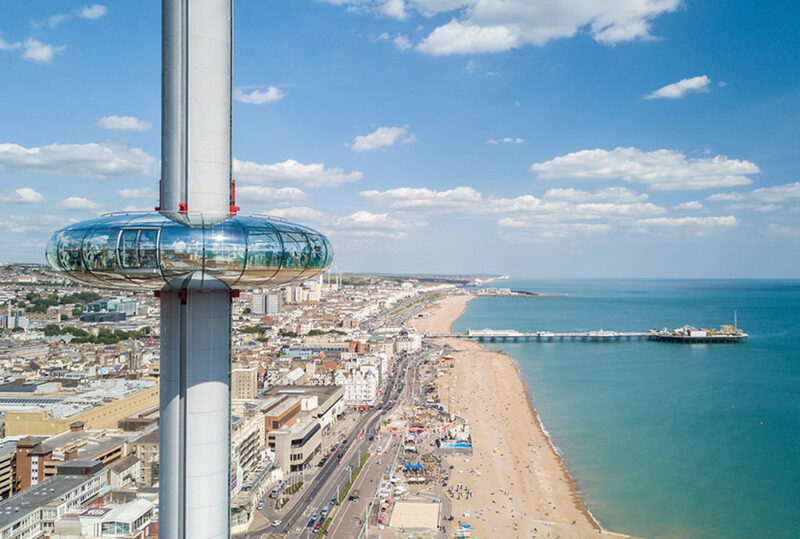 Towering 162 meters above the Brighton seafront, the British Airways i360 boasts ‘Brighton’s best view’ with stunning 360° views of the surrounding area. Designed by Marks-Barfield Architects, the creators of the London Eye, the i360 is the world’s first vertical cable car, the UK’s highest observation tower outside London, the tallest structure in Sussex and the most slender tower in Europe. Brighton is the most visited seaside destination in the UK with nearly 11 million visits a year. Since its opening in August 2016, this innovative attraction has been popular with both locals and visitors to the area and recently welcomed its millionth visitor! In order to maintain this popularity, they sought out an experienced digital agency. We selected Digital Visitor as our digital agency because of their unrivalled experience in the attractions industry, their creative thinking and careful consideration of what we are looking to achieve. Their work speaks for itself and the results they achieve are a testament to their in depth understanding of the challenges of visitor attraction marketing. I believe that they are the perfect partner to grow our audiences and boost our visitors. Digital Visitor will be working alongside the British Airways i360 team as their digital partner to increase awareness among new audiences and drive ticket sales through a multichannel digital strategy.